Who's The True King Of The Zingers? With the Eurovision Song Contest almost upon us we look back at the best moments and funniest quotes from Terry Wogan and Graham Norton to determine, once and for all, who is the biggest Eurovision smartass! Plus, if you want to be rich and can't get enough of that Eurovision cheese then you won't want to miss our ESC competition on Facebook where you can win £1 million! The Irish call it the "gift of the gab"; their swift wit and uncanny knack for making even the most snide and acerbic comments sound cute and cuddly. It's something both the venerable Sir Terry Wogan and his sassy successor Graham Norton have in abundance and it is, in this writer's opinion, the best part about watching the Eurovision. Altogether Norton and Wogan represent 38 years whereby Irish broadcasters have been commenting on the Eurovision on Britain's behalf and ostracising it from its continental neighbours. Meanwhile Ireland itself remains the country with the highest amount of Eurovision wins… Ooops! I've said too much! 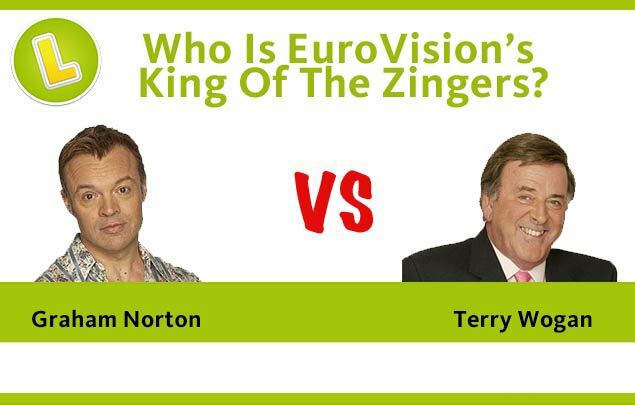 So, Wogan Versus Norton – who comes out on top? To find the answer we poured over decades of hilarious Eurovision quotes until we came up with the answer. You might see it differently, of course, so feel free to let us know on Facebook what you think. 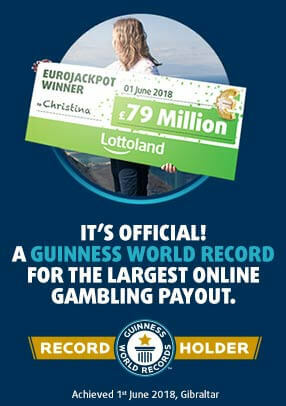 And, while you're there don't forget about our free ESC competition where you could win £1 million! Terry Wogan was born in 1938 in Limerick, Ireland's third largest city which was also the birthplace of Richard Harris. Wogan originally worked as a banker before landing a job at RTÉ, Ireland's national broadcaster. He made the move to the Beeb back in 1966 and never looked back. In 1971 he presented his first Eurovision on radio and made his Eurovision TV debut in 1973. He returned again in 1978. Two years later he was brought back again to become Britain's longest-running Eurovision presenter with a 28-year unbroken streak from 1980 to 2008. Altogether Wogan presented Eurovision 32 times, twice on radio and 28 times on telly. "That was song eleven – there's only about 300 more to go!" – on Croatia's 1995 entry. "They've got four languages in Belgium and they're signing in an imaginary one. The essence of the Euro" – on Belgium's 2003 entry. "They got dressed up for this the Italians - you're absolutely nothing without a pair of leather trousers in Italy!" – on Italy's 1993 entry. "When you pick a boy band usually, you pick them for their good looks. But the Russians appear to have gone to the other extreme." – on Russia's 2002 entry. "Every year you think it can't get worse" – on the Eurovision in general. Although born in Dublin in 1963, Graham Norton grew up in County Cork. He then performed as a comedian in the UK during the 90s steadily gaining recognition for his unique, hyperactive performances. Norton got his first big break playing the neurotic and relentless loudmouth priest Father Noel Furlong on Channel 4's Father Ted. Norton's character and over-the-top campy style was an instant hit with audiences. Today he is one of Britain's best known and loved broadcasters and this year will be his sixth year presenting the Eurovision. "Well that wasn't embarrassing at all" - after Finland's voter started rapping. "Oh look, there's Ireland. Obviously booked their tickets before the semi finals" – on seeing Irish flags waving. "The bad news is you're about to watch Albania. She's only 17, so please bear that in mind. Where was her mother? Why didn't she step in and say no?" – on Albania's 2008 entry. "This performance features a trapeze. Why? Because it's Eurovision" – Graham sums the whole thing up. Graham Norton certainly had some seriously big brogues to fill and while he certainly has the sass Terry wins by sheer numerical superiority. Perhaps if Graham manages to stay in the job a little longer (and we certainly hope he does) he'll be able to shore up the numbers but for now Terry Wogan remains Eurovision's King Of The Zingers! List Your Eurovision Picks To Win £1 Million! So, have you caught Eurovision fever? If so seek medical attention immediately as its effects on the human brain can be highly detrimental. Luckily we have the perfect antidote and, unlike most medicine, this elixir tastes very sweet. Win £1 million in our free ESC competition. To enter just go to our Facebook page and comment on our post with your top 15 Eurovision picks for your chance to win £1 million!